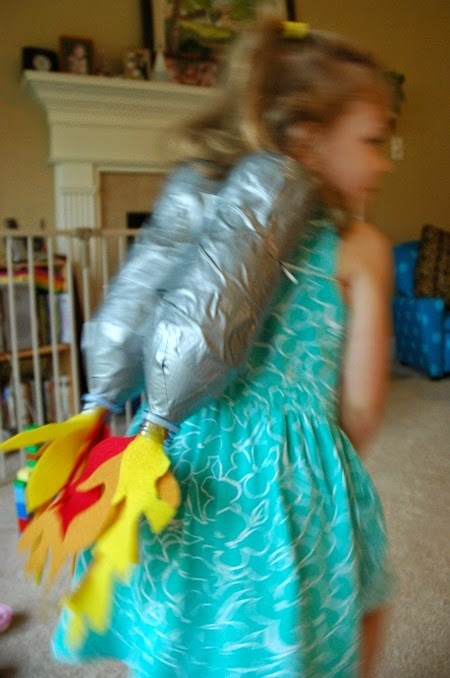 These little jet packs are beyond cute, and are so easy to make! You probably have everything you need in your house right now, and can whip one up in under 30 minutes. 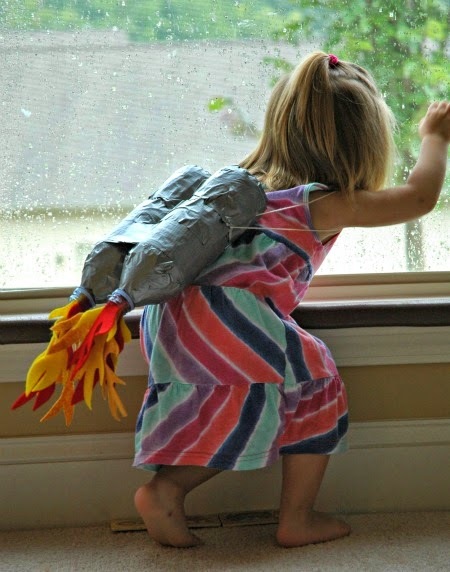 They inspire fantastic imaginative play and will encourage tons of exercise and active play. This would also be a perfect component for a Halloween costume! 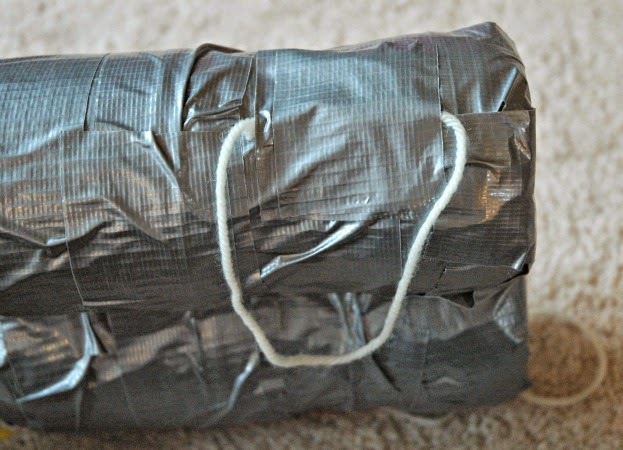 Cover each of your bottles in duct tape. Wrap 'em up good! 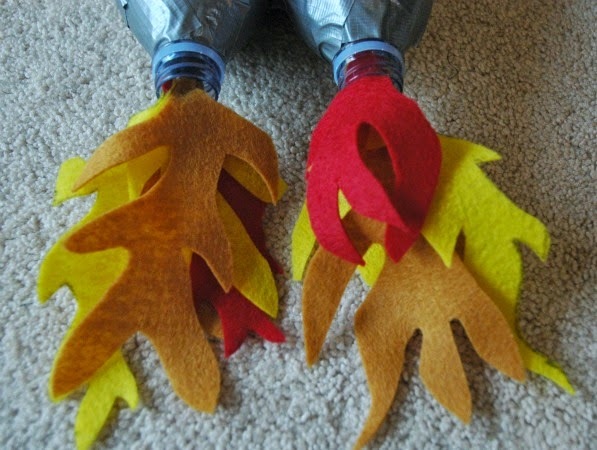 Cut out flames of felt. I drew a few with a sharpie first to get the hang of it, then just free formed the rest. I had about 5 or 6 flames for each bottle. 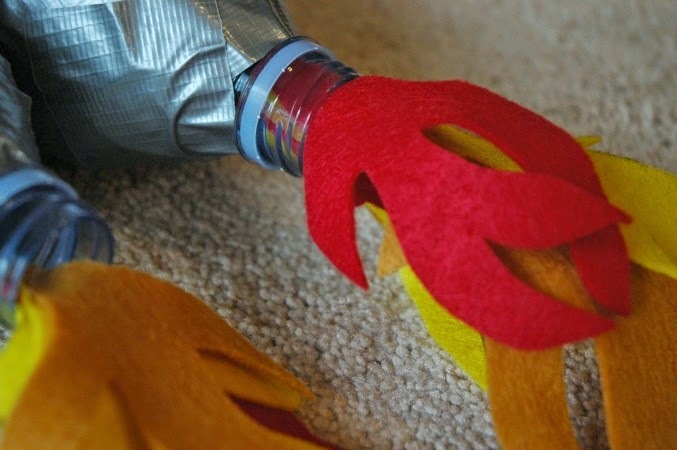 Hot glue the tops of your flames together into a stack. Hot glue the stack into the opening of your bottles. Add straps. I just made a circles of string and taped them snugly to the bottle, one on each side. I was worried that the thin string would dig into the girls' skin, but Lena assures me that it is plenty comfortable. If you wanted something more substantial, you could use elastic. The duct tape holds pretty well. 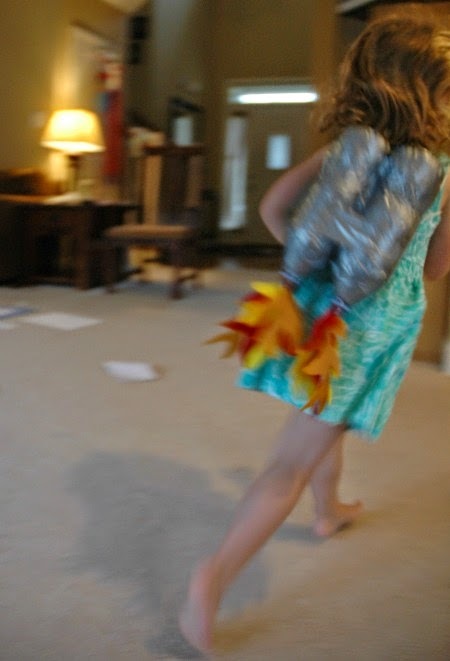 My girls have played with their jet packs all week and the straps haven't come off, but even if they did, another strip of duct tape and you'd be good to go. 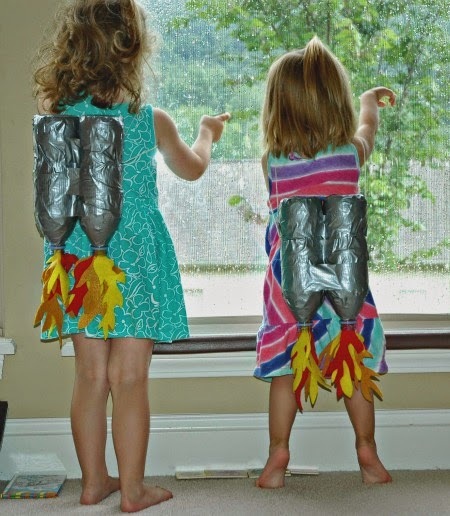 Let your kids blast off around the room! Someone had LOTS of trouble standing still for pictures! 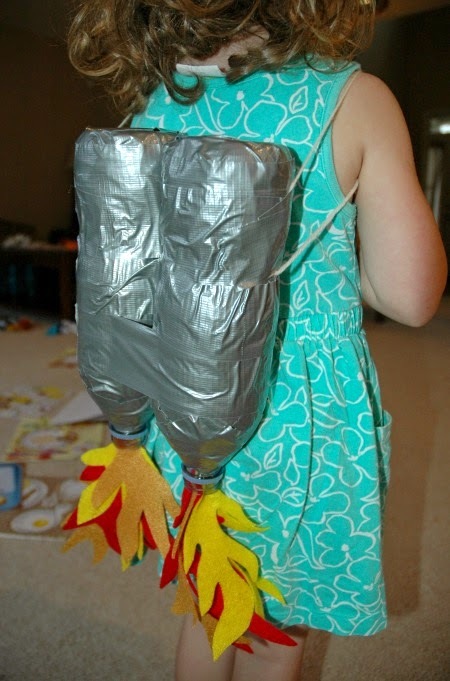 Fun upcycle craft project for kids. 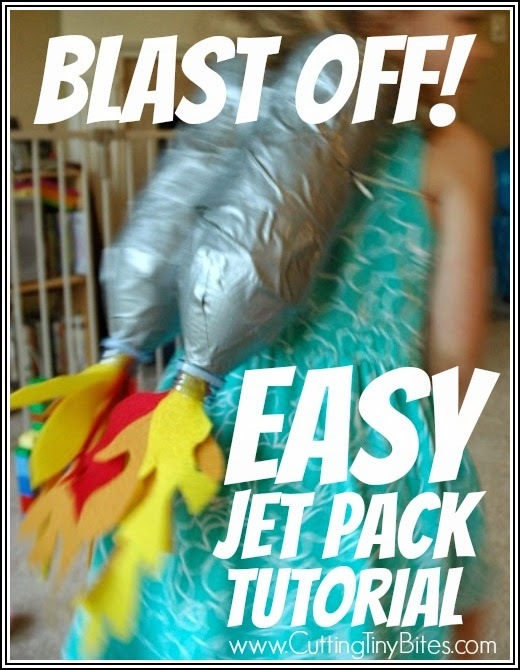 Make a jet pack from plastic bottles! Great for an outer space preschool theme.